Private & Business mailboxes from expost Northern Ireland, with a virtual UK address. Private or business mailboxes with a real Northern Ireland street address, with five named users per account, international mail forwarding, letter scanning and unrivalled customer service. Expost mailboxes are also available to customers in the Republic. Each virtual mailbox from expost has a real Northern Ireland street address that is accepted without question for correspondence with your bank, building society, card issuers, insurance and utility companies, the DVLA, HMRC, Companies House and the Passport Office, or for deliveries from on-line retailers such as Ebay and Amazon. 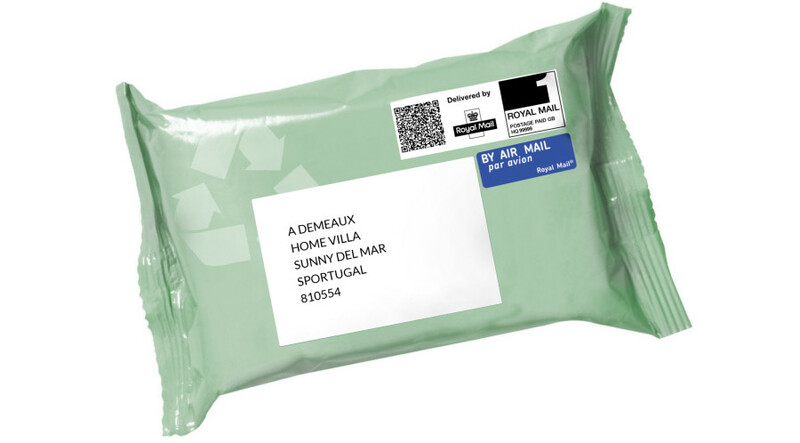 Your letters, packets and parcels are delivered to our Mail Centre in County Down, where they are identified by any of your five registered user names, sorted and stored in your mailbox. You then use the secure on-line control panel to tell us how and when to scan or physically forward your mail, anywhere in the world. Already much cheaper than a numbered PO box from the Royal Mail, our charges are frozen for as long as you hold a continuous account with us. Two years, twelve years or twenty years from now, you will only ever pay the prices as they are shown in this website on the day you register. We promise never to charge you more to renew your account, handle your mail or scan your letters! Letters, packets and parcels up to 20Kg can all be sent as part of our standard service. We make no charge to forward your mail, all you ever pay is the onward postage, at cost! Have urgent letters scanned and uploaded to your secure, on-line, scan viewer for instant access. If you are constantly travelling, have no fixed point of contact for forwarding, live in a country with an unreliable postal system, or just must have the contents of that important letter today, Scan & View is for you. Our Mail Centre for Northern Ireland is open 24 hours, 364 days a year to receive, sign-for and secure your letter post and parcels. Live support is available by telephone and email from 8am ( UK time ) every weekday morning, plus Saturdays and Bank Holidays. In practice, there is usually a member of the management team here from 5am, so you always have access to our help and advice when you need it! Click here to ask Trustpilot what customers think of our support. . .
Expost is not a fraudster's charter! Having been in business for over 18 years, we know that, on occasion, people will find a mailbox company on the web, invent a random address without reference to the providers, then use it to afford themselves unlawful and fraudulent credibility. If that is your intention, please go elsewhere. Any mail that arrives without a valid account is returned to the sender, by 1st Class Post, marked as; 'not known at this address'. We place the security of your mail and personal data above all other considerations. Your data is held on secure servers in a private cloud, and your password is encrypted. We will never sell or share your data with any third party business, organisation or individual. Every one of us strives to deliver a faultless service with friendly, knowledgable and accessible customer support, and we promise to address any shortfall in our service immediately, with as little inconvenience to you, the customer, as is possible. Find more useful information by joining expost on Social Media, or read our customer reviews on Trustpilot!